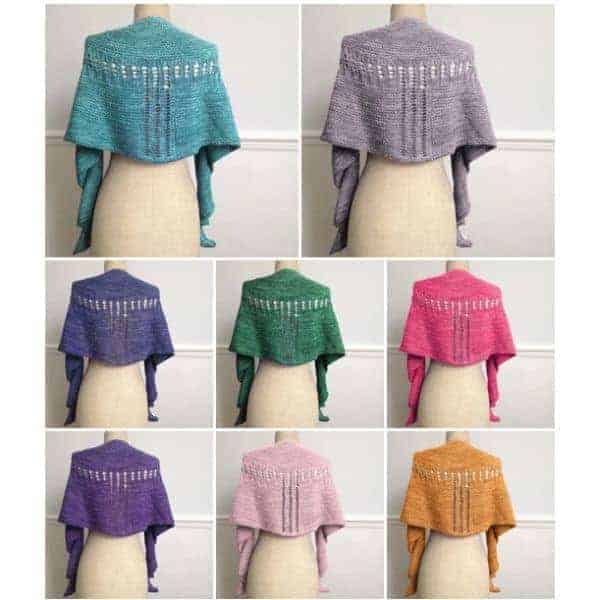 Jetty is a simple and stunning crescent-shaped shawl designed by Linda of Kettle Yarn Co. for her Islington DK, a blend of 55% percent Superwash British Bluefaced Leicester and 45% silk. It has an eyelet lace detail embedded in squishy, comforting garter. Through next Friday, Oct. 2, you can get the pattern for free with the purchase of two skeins of Islington DK. 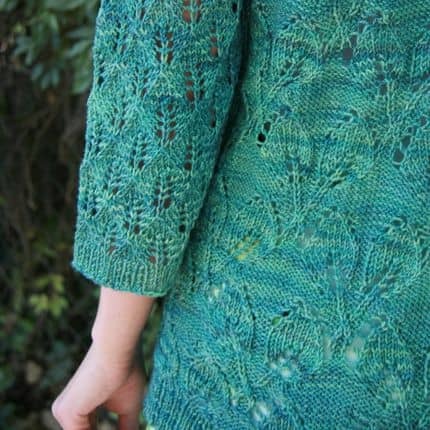 Mountain Laurel, the latest sweater design from Laura Patterson of Fiber Dreams, is inspired by the greenery in her new home in the Pacific Northwest. The back of the cardigan has a beautiful leaf stitch, with simple reverse stockinette in the front. The loose 3/4-length sleeves are knit in a different, coordinating lace pattern. For those of you who don’t have a green thumb, this sweater may very well be the perfect substitute. This entry was posted in What to Stash and tagged free stuff, patterns, shawls, sweaters.